The 9V Q-Lite Alkaline batteries we test here are rated with up to 3 years shelf life and are marked for use up to 01-2015. 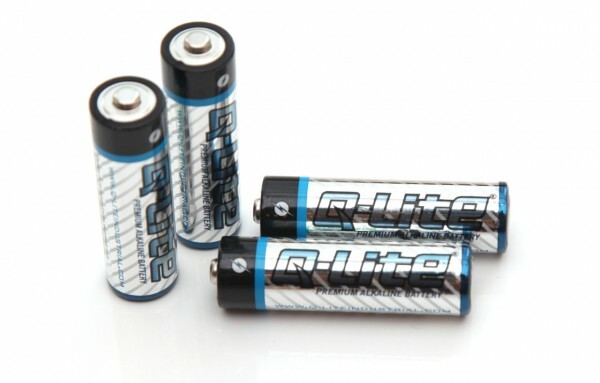 The Q-Lite Industrial’s website does not have detailed specifications about these batteries, so we have to check them out by testing the actual capacity we can get out of these. What you should be well aware of is the fact that 9V batteries consist of multiple small 1.5V cells (six cells) with much lower capacity than a single AA size 1.5V battery for example can provide. To test the capacity that 9V alkaline batteries can provide we are using a constant current discharge test with 0.05A load (50 miliampers) due to the fact that the total capacity of these batteries is not that high and they are not intended for use in situations where high current loads can be expected. Nowadays these batteries find their place in different battery operated measuring equipment with low power requirements such a multimeter for example. The 9V Q-Lite Alkaline battery we have tested here managed to provide 466 mAh capacity before hitting the 6.6V cutoff voltage and that is actually a very good performance for a 9V alkaline battery. The 1.5V AA Q-Lite Alkaline batteries we test here are rated with up to 3 years shelf life and are marked for use up to 03-2016. 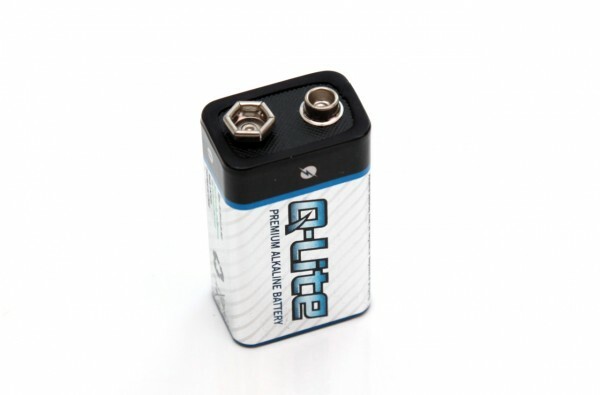 The Q-Lite Industrial’s website does not have detailed specifications about these batteries, so we have to check them out by testing the actual capacity we can get with different constant current loads. Starting with the power profile test of the 1.5V AA Q-Lite Alkaline batteries we can see that they can handle pretty high loads before reaching the cutoff voltage of 1V that we are using for our tests. We’ve managed to reach up to 1.5A current draw before the batteries hit the cutoff voltage and values over 1 Amp are not that common to find with alkaline batteries, so these batteries are handling quite well. The open circuit voltage of the 1.5V AA Q-Lite Alkaline batteries we tested was 1.62V, though of course that value decreases when the battery is under load. Time to move on to the constant current draw tests we are performing. Starting with a 0.1A constant current load tests for the 1.5V Q-Lite Alkaline batteries we got 2219 mAh capacity which we consider to be very good. Going for 0.2A constant current draw form the batteries the useful capacity you can expect is 1873 mAh and going even higher the useful capacity gets a bit less than in half at 0.5A and 1.0A load as compared to the previous rate. Nevertheless the 1.5V AA Q-Lite Alkaline batteries still manage to perform very well even under higher constant current draw rates, though as usual for such cases we would still recommend to go for rechargeable NiMH batteries instead.